This is not just any other news story. It would have been better if this report was filed by a Class V student of a government primary school. He or she would have been able to write it better. Since it is not the case, this reporter is bringing this story to the readers. This is the story of Munish Kumar and Avnish Yadav, two primary school teachers in Uttar Pradesh. At a time when the level of primary education in Uttar Pradesh, lies in tatters, every teacher and parent must read this story. This story needs to be told also because those who can afford English medium education for their children often forget that real education comes only through an emotional bond between students and their teachers. 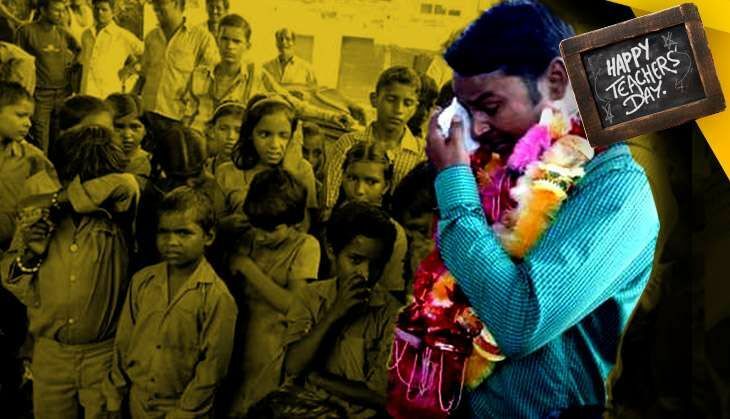 Seven years ago, Avnish Yadav, a resident of Babhnauli village in Ghazipur district, was posted as a primary school teacher in Deoria district's Pipradhani village. Neither the students nor the teachers bothered to go to the school when Yadav joined. The children worked to help their parents and relatives make ends meet. 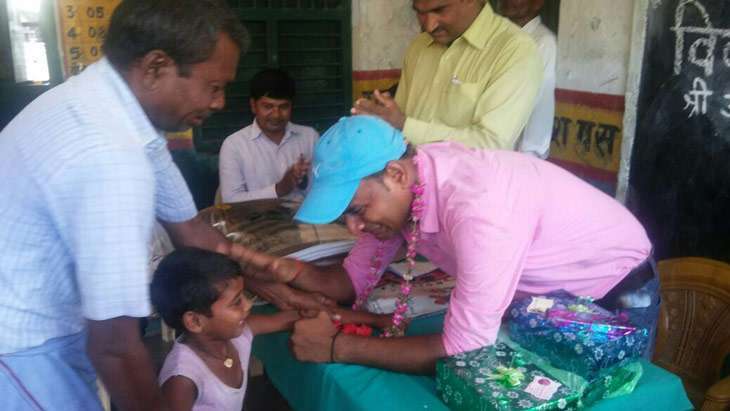 Yadav found that not more than 2-3 students attended class, so he started a door-to-door campaign to persuade people to send their children to school. It was not easy in the beginning as most of the villagers were poor labourers and daily bread-and-butter was their primary consideration. However, Avnish Yadav persisted with these efforts and slowly parents saw the importance of education for their children's future. Yadav not only managed to increase the enrollment in his school, he also made his students capable enough to compete with their private school educated counterparts. Today, the pupils of this school can tell a thing or two about international politics, they are well-informed about India's performance in the Olympics. Avnish's unwavering commitment led to the complete transformation of the mindset of the locals. Now, they consider him their own son. He has won many awards for his efforts. Munish Kumar taught at the primary school in Parauta village in Western UP's Shahabad region. Later, he was promoted as the principle of the primary school at neighbouring Rampura village. Like Avnish, Munish also set an example. He is credited by the locals with turning the school into the best primary education institution in the area. He has also been transferred recently. There were tears in everybody's eyes at Munish's farewell function. The villagers were lamenting they would never find such a teacher again. "He has changed our lives and that of our children," say villagers in his admiration.